More than 17 higher education institutions in Greater Oklahoma City educate 125,000 students annually. These talented graduates fuel our economy by becoming our future workforce. The Chamber’s Greater Grads initiative is designed to encourage graduates to choose Oklahoma City as their place to live, work and play. College students who complete an internship are more likely to stay in our community after graduation. While internships benefit students by providing them with real life work experience, they can also directly impact a company’s productivity and bottom line. Internships are an effective and efficient way to attract energized workers and infuse new ideas and skills into your business, while also creating a pipeline of talent for a future workforce. The InternOKC summer internship program is a way for students to discover the benefits of living and working in Greater Oklahoma City, while fostering peer networking and providing resources to help them transition from college to career. Over the course of five weekly meetings, students hear from local speakers on topics such as the intergenerational workplace, entrepreneurship, diversity, organizational culture, ethics, cost of living and the MAPS projects.. This extensive Web resource is a vital tool for both graduates and employers. 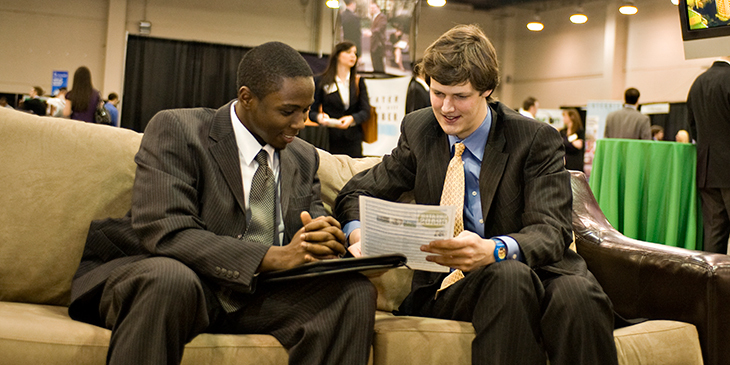 By visiting the www.GreaterGrads.com, students can learn about Oklahoma City’s cost of living, major industries and local amenities, as well as available internships in the area, InternOKC and more. The site is a great resource for employers, too, giving them the opportunity to post internships, enroll interns in InternOKC and download a handbook designed to help develop internships.